Leave it to me to be involved in controversy. This year for Sturgis, David Uhl painted me in the continuing saga of The Iron Horse Heist. 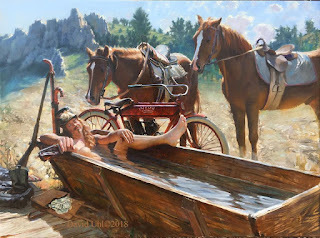 It seemed that there was some negative feedback that I was naked in the horse trough so David repainted me with long johns on. The cool thing is David is going to offer BOTH paintings, your choice. 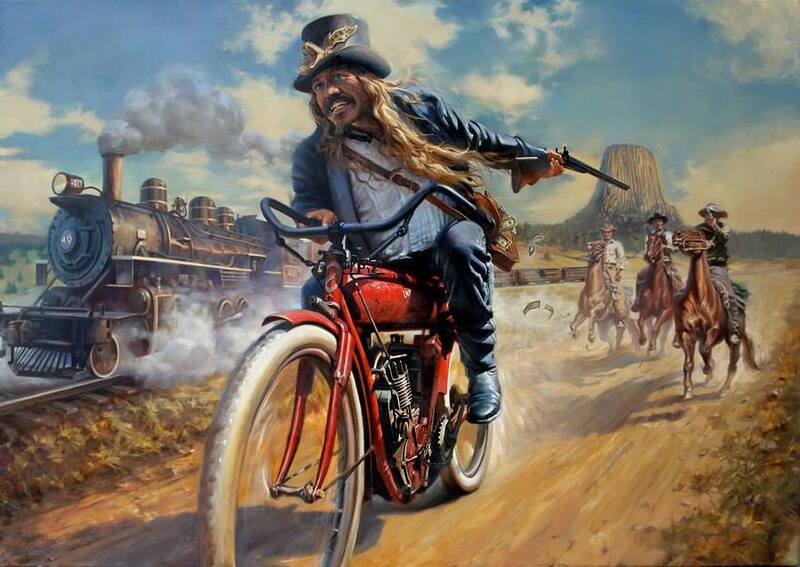 Now like all David's Sturgis editions, after the rally, the price goes up. This is the cheapest you will ever be able to get this print so reserve your print today. Just email Greg at greg@uhlstudios.com . Don't forget to specify which print you like. This is Iron Horse Heist. It has sold out. Don't wait for my other prints to sell out.